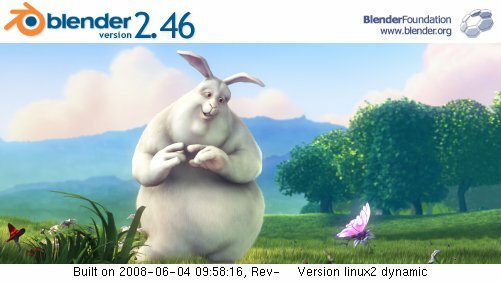 This HOW TO is for those who want to run the newest version of Blender In Ubuntu. Copy the command below and paste the command (Ctrl V) into the Add form. Enable (install) Blender by putting a check in the Check Box and then click Apply Changes. You may get a warning that the Software Can Not Be Authenticated. If you wish to install click Apply. VitalBodies would like to thank W Grant for making this possible! How can I tell if the version I installed using this method is 64 or 32 bit? I am running xubuntu 8.04.1 64bit. Has anybody had any problems with 2.46 on hardy x64. Everytime I want to use the sequence editor to import a movie file, blender freezes and starts using up all my memory. (I have 4Gb ram and a 2GB swapfile). just be CAREFULL with those repositories, anybody can create an account on launchpad and supply packages with MALICIOUS CODE! Thanks for this, I’d tried a few ubuntu forums for this. I hate asking for help and the website says ‘click on the hair button’ when on 2.45 it’s just not there. The point of going to 2.46 is the new features. Do you have to be in 2.46 for that button to be there? Could you say more about the button you are looking for? In blender on the BUTTONS WINDOW select OBJECT button. Click to ADD a particle system. You will see a HAIR button/menu. Is that the button which is really a menu choice? Thanks for putting 2.46 in your repo, makes life a lot easier. Any chance you will be packaging up 2.47 and putting that in there too? I am particularly interested in a 64 bit version! Thank you for writing. I hope that it does not seem like VitalBodies made this happen. VitalBodies just tried to get the word out, and make the instructions easy to follow.